February 25, 2011 - Moyea Studio has cooperated with Foxreal Studio on technology buyout about those Moyea products at www.flvsoft.com. As you see, all Moyea video and audio tools at www.flvsoft.com have been replaced by Foxreal Software. The main purpose of the technology buyout is to provide more timely and effective technical support and product updates to help new and old customers to solve all video and audio problems encountered on Windows or Mac. Foxreal Studio has announced a series of preferential activities （learn more...）for old Moyea costomers at Support Center page ( Mac Support Center) and set up a support team to specially help old customers address a variety of possible problems or questions due to the technology buyout. The following Foxreal video and audio applications are available at flvsoft.com now. In order to help Windows users get fast video and audio conversion experience, all the added Foxreal software for Windows supports NVIDIA CUDA acceleration technology allowing to convert any video/audio at up to 5x faster speed. Moreover, all Mac software from Foxreal Studio supports Apple ProRes, Avid DNxHD, HDV and Apple Intermediate Codec encoding so as to import and edit any video (including high-definition) on Final Cut Pro, Final Cut Express, iMovie, Avid media composer or other editing software without rendering. 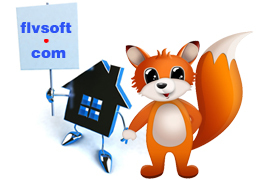 Hope all Foxreal software at flvsoft.com makes your digital life easier and faster!